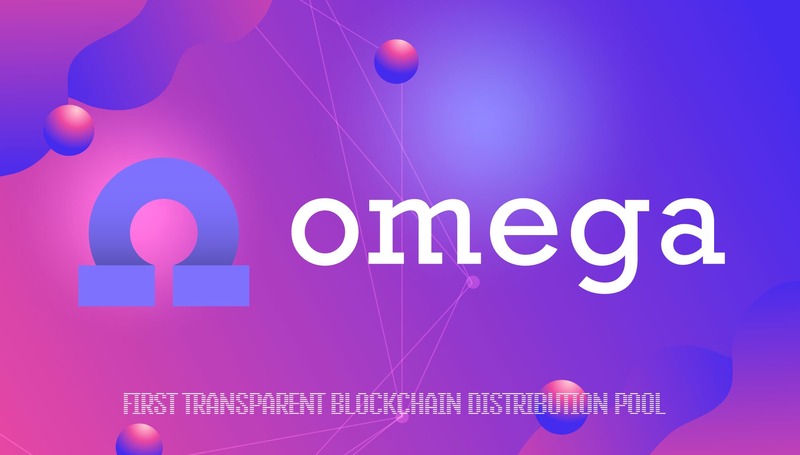 OMEGA is the first Transparent Blockchain Distribution Pool. What we pursue is a flawlessly working system that prevents any fraudulent experiences along with creating appealing investment opportunities. Our smart contract has open-source code with generated access tokens and divestiture, meaning that no one can get access to the ETH on a balance if this contradicts operation protocol. The system we build is strongly tied to the platform-wide token — OMG. Being an ERC20 standard cryptocurrency token created on an Ethereum blockchain, it’s whole issue and circulation is controlled by OMEGA smart contract. The primary task of token is the equitable distribution of dividends from OMEGA daughter products with a smart contract inside their core. Choose Transparency. Embrace the OMEGA. A modern problem noticeable in the world of cryptocurrencies is a wide spread of illegitimate trading platforms. With a recent raise of popularity among publicity, crypto market has been filled with platforms offering high profits but operating by private algorithms. This means only the platform creators are in full control of the way dividends are split and payed, leaving a lot of fantasy for scams. Such a shameful way of operation only leads to further lack of knowledge among people and will result in actions considering the legal status of all cryptocurrencies. However, modern technologies can create a solution to the problem of “funds management”. And solution here lies in transparency of algorithms. When full information on how the system works is exposed, every dime can be traced, making fraud maneuvers impossible. This technology is called “Smart Contract”. Developed by a engineer mastermind Vitalik Buterin and powered by computational powers of the worldwide miners, a smart contract is an electronic protocol whose operation is impossible to influence outside the framework of its underlying rules. The only thing that can stop it is stopping the operation of the Ethereum blockchain, which is highly improbable in today’s realities. This technology lies is a cornerstone of our new launch. Brought to you by the Management and Development Team behind Dragon ICO, a team known for their extraordinarily successful DragonCoin, which became a powerful force and a solution to make changes in public gambling market of Macau. A new exciting launch of a highly prospective project that is destined to become a major success. With an idea of transparency in core, the aim now is to create an answer to an oddly growing market of illegitimate trading scams. Another crucial flaw of various trading platforms is sophisticated design and overall complexity. Accompanied by an unlimited range of stocks and coins to purchase, this makes a very hard task for newbie investors to release their full potential without getting lost or going bankrupt after the first try. Thus, we wanted to create a platform with lowest entry-level and equal investment opportunities to ensure the satisfaction of the larger demographic. Low level of entry means anyone capable of using computer will be able to invest and get dividends, not only experienced investors with a thick portfolio. It is guaranteed by the simplicity of our platform. Designed to be used on the fly, OMEGA implements and extends the ideas of usability beyond your perception. One may think that use of ETH as an only and primary coin is controversial, but along with our OMG token it allowed us to create an efficient and easy-to-use investment system. The price of token is calculated according to the amount of transactions and tokens purchased in the system. For each token purchased or sold, the price increases or decreases automatically by 10 GWEI (0.00000001 ETH) in comparison with the price of the preceding one. This means, that your money starts giving profits right after the moment of investment. Each transaction using the OMEGA is eligible for a commission charge. The revenue received from the above commissions is distributed in equal measure among all the OMG token holders according to their share of ownership and is one of the sources of dividends. You receive rewards for each transaction independently of how the token price behaves. In addition to receiving dividends, you can make money off constructing your own partner network. For everyone who purchases tokens in a contract on your link, you will receive 33% of the commission that the participant pays for the purchase. The remaining part of the commission goes to dividends for all token holders, including you. We are proud to be joining the ranks of tech companies who are bringing innovative technological solutions to tackle existing problems or inefficiencies within financial systems. However, unlike many, we are not seeking funding for purely technological development. We do, though, very much pride ourselves on being able to offer our native tokens to the market with confidence, knowing that the OMEGA will almost immediately serve the needs of a fully operational and substantial business. Our telegram channel has a guide on how to get on pre-sale!